The Janira Peteites Folies Body is a delicate body made from microfibre and tulle. Janira products can be neat fitting. Below is our guide for fitting. The cosiest slipper boot has an embroidered velour top with an oversized pom pom. This will definitely make you feel wintery and along with the ivory faux fur inside, will make you want to keep these on all day long! The slipper boots are available in sizes Small to X Large. The Luana red silk nightdress is a beautiful, classic silk and lace chemise style nightdress. The intricate lace detail across the bust in a contrasting cappuccino colour, compliments the scarlet red silk. The fine silk straps are also adjustable, which helps for a close fit. The Lorella silk nighdress is a very popular style from our winter nightwear collections. The amazing and delicate lace decorates the chemise across the bust and continues onto the bottom of the chemise in an amazing contrasting coloured lace. The delicate silk straps are fully adjustable, ensuring a close fit. The Blair house shoe from Pretty You is a gorgeous, cosy slipper that can be worn inside and out! The super soft inside will give you all the comfort of a slipper whilst the durable rubber sole allows you to wear it outide with ease. The beautiful detail and fabric gives this great house shoe real style and comfort! The Bronte side support bra from Fantasie is a fantastic plunge style bra for fuller cup sizes. The delicate lace style is complimented with contrasting linings, making the Bronte a real occasion black bra as well as an everyday practical shape. The side seams will allow forward projection of the bust as well as excellent support. This coupled with the low plunging neckline makes the Bronte one of the most wearable styles this winter! The Colette chemise from Eberjey is a super soft nightdress with stretch lace. The honeycomb lace dresses the cups on the nightdress and continues across the back, offering a gentle hold – great for cup sizes! The fitted top is complimented by a full skirt, making the Colette chemise not just perfect for a special occasions but so comfortable it will definitely be an everyday favourite! 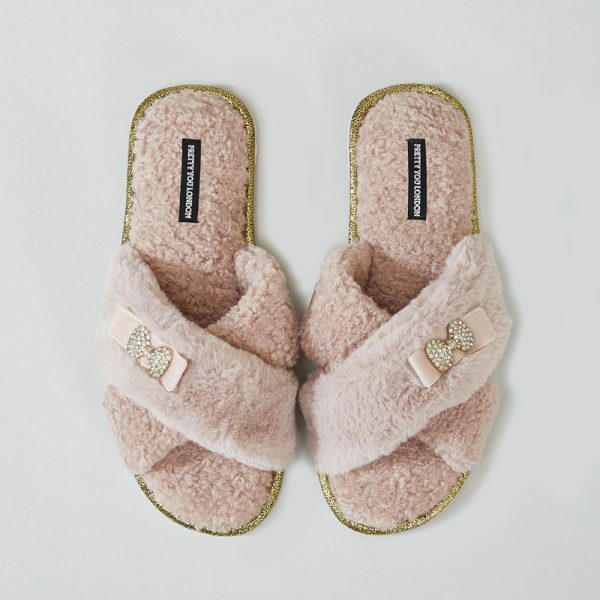 The Ali slipper from Pretty You are the one of the prettiest yet cosiest slippers in the collection this season. 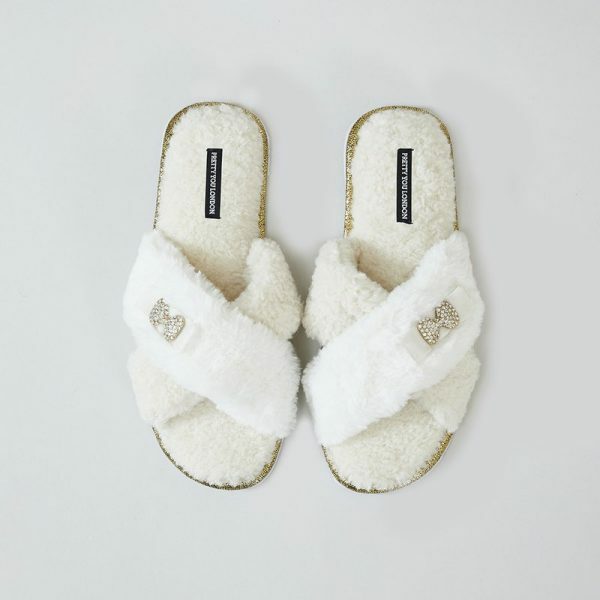 The fluffy fabric on the base of the slipper as well as the top gives a luxurious feeling for the feet – perfect slippers for slipping into after a long day! The diamante bow detail add that little touch of elegance! 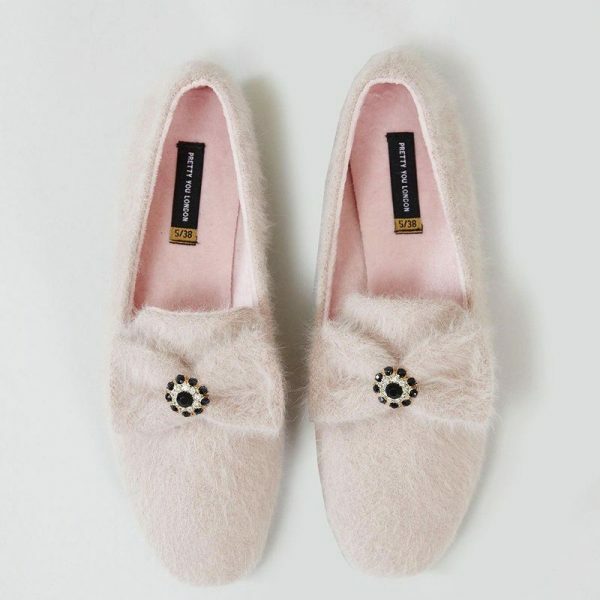 The ali slippers are available in two colours – pink and cream and in sizes small to x large. The Marie Jo Ester gorgeous lingerie set is the ultimate in lingerie. The softness of the lace is exquisite with the delicate embroidery brings the floral pattern to life. A beautiful and truly feminine style, sure to be on the wish list for many this Christmas! The moulded balconette style offers a great shape with uplift as well as being totally comfortable for everyday wear.